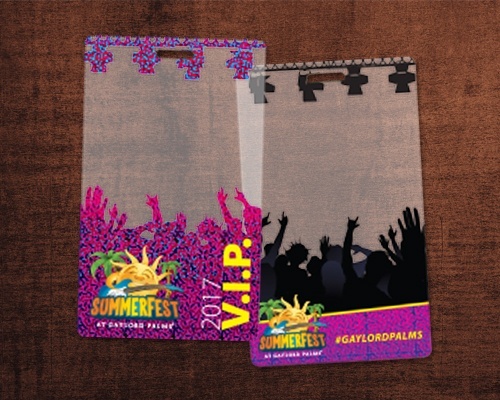 VIP Passes and VIP Cards | Plastic Printers, Inc. 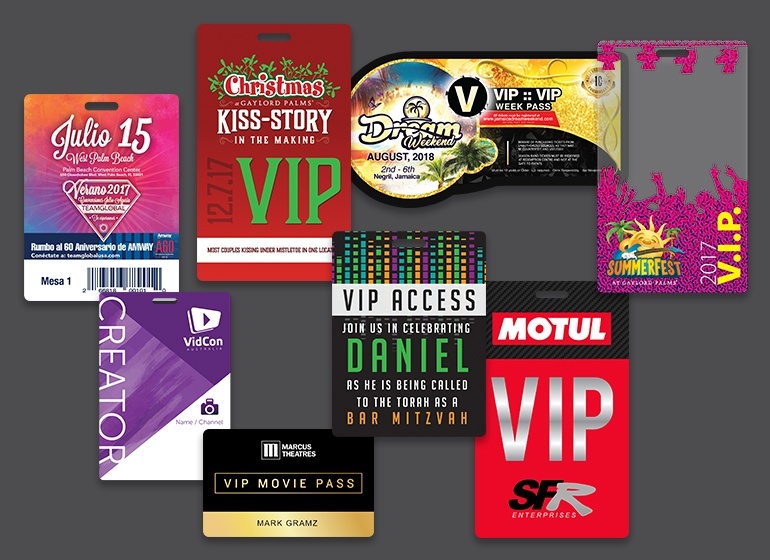 Whether it is a once in a lifetime event or a full year commitment your customers are making to your business, you can make your customers feel special by rewarding them with a VIP Pass, Season Pass, Backstage Pass or other exclusive pass options. VIP passes get the attendee in the door for that once in a lifetime experience, or an annual pass can be reloaded once renewed each year. Passes give people exclusive access to your special event, the big game, trade show or demonstration, amusement park, zoo, club or concert. Grants privileges and access to the holder over a defined period of time. Also referred to as an VIP or annual pass. Commonly used for Sporting Events, Theaters, Amusement Parks, Zoos, Recreational Sports Venues (ski areas), and paid-admission parks (state and national parks). Provide customers access to your conference, concert, festival, trade shows or special event. 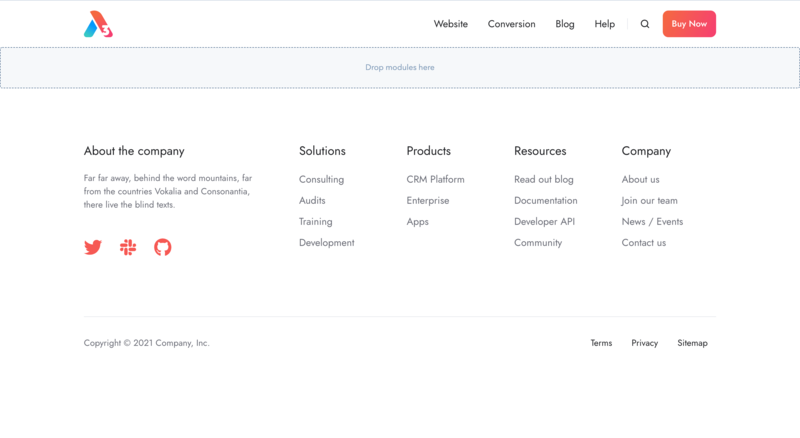 Customize or personalize your badges to create a unique experience for your customers. Give VIP access or perks to your annual customers. Pass holders often receive discounts on food, the gift shop and priority in lines or seating. Acknowledging your committed skiers and snowboarders with their VIP pass which allows them to ski an unlimited number of times within a period of time or season. 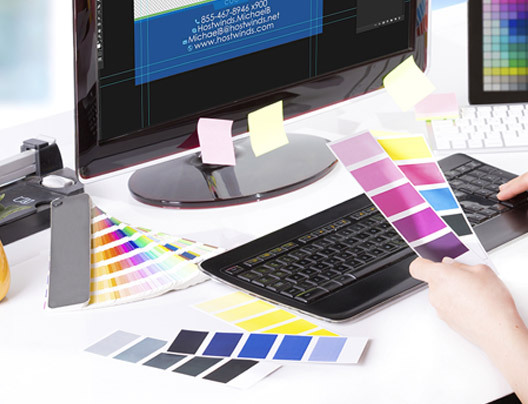 Our very talented team of graphic designers can readily add special features so your VIP passes can not be replicated. 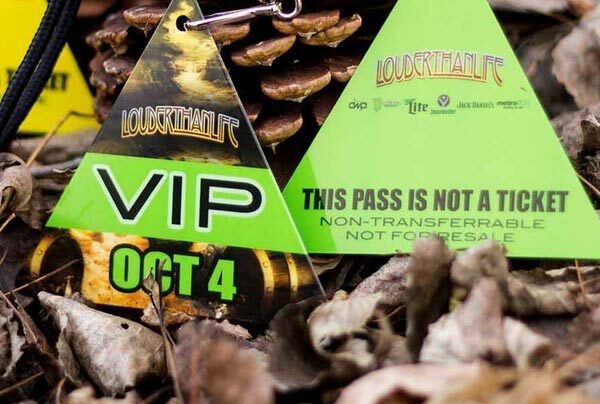 Make your VIP Pass truly spectacular and one of a kind with metallic gold or silver, by using a custom shape or make clear or translucent portions. 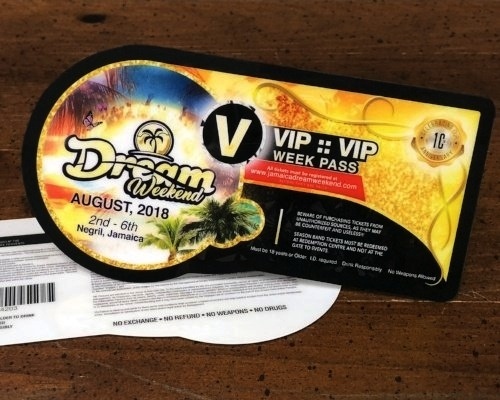 Personalize your VIP pass in a meaningful way exclusive only to you with custom shapes, no one can reproduce or recreate your passes for security purposes. Also you can recognize your passes from afar with ease. 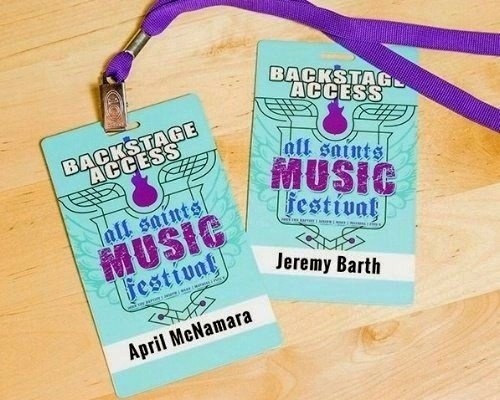 Who's getting an amazing VIP Pass & Event Pass lately? 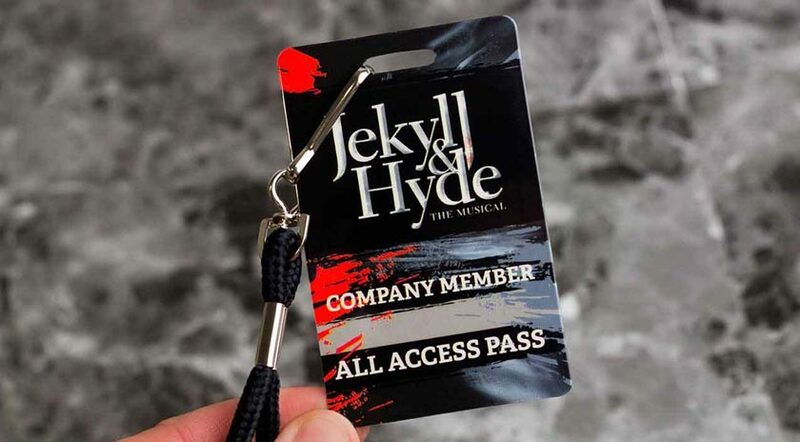 One of a kind VIP passes are our specialty, here's how a few of our recent customers are using their custom VIP passes they received from Plastic Printers in their business. Abbey uses their VIP boarding passes to assist in creating a luxurious and personalized private yacht charter experience. Their black boarding passes signify the exclusivity of their vacation and that this experience is all about them. 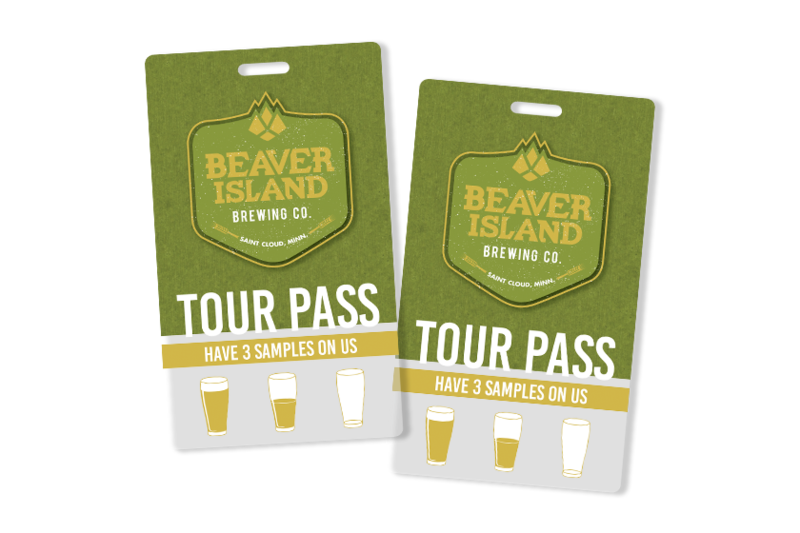 Beaver Island Brewing Company gives customer's complete access to their brewery by giving them a full tour. 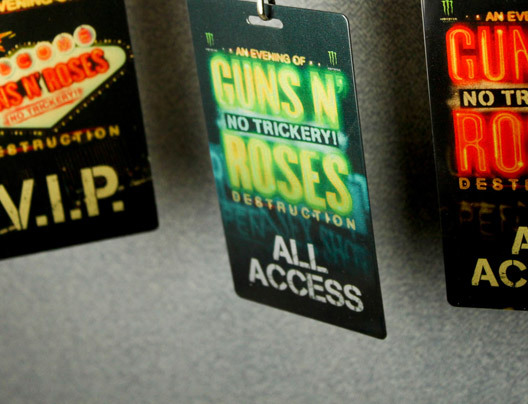 In order to identify who has access to this event, they distribute tour passes. 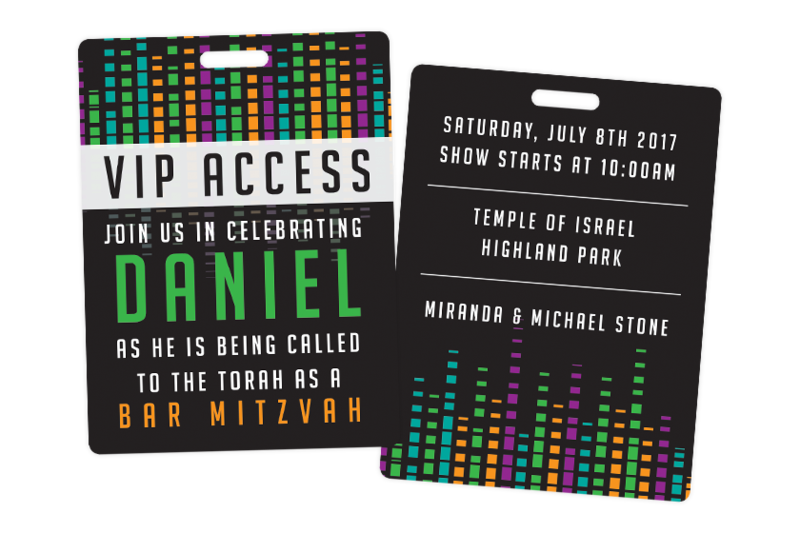 Daniel has created a unique Bar Mitzvah invitation for his special day! His invitations were designed to fit his theme and amaze his family and friends. VIP passes are great invitations for birthdays, graduation parties, Quinceaneras and so much more. 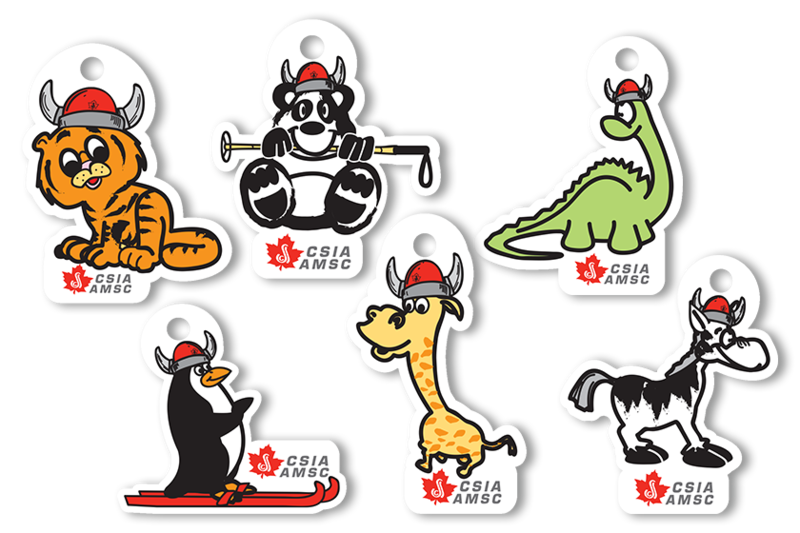 Alain created fun custom shape ski passes for skiers and snowboarders to clip onto their jacket or snow pants. 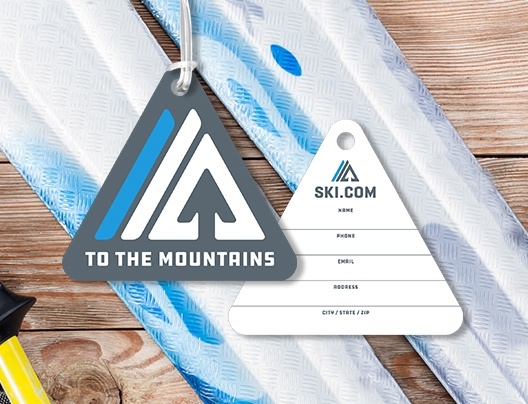 This functional ski pass is out of the participants way to ensure they can enjoy their day on the slopes. Use your VIP pass as a marketing tool. Provide customers with exclusive offers and discounts in addition to accessing your event. This creates word of mouth for your company with little to no effort. Incorporate a premium design. 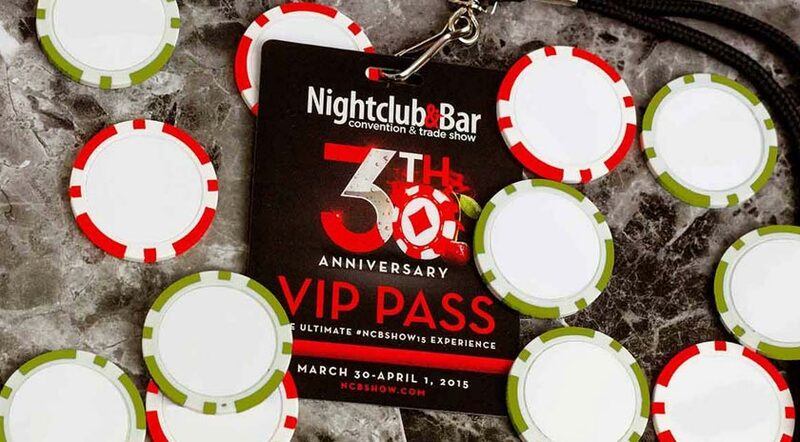 Show your customers the exclusivity of their experience by creating a flashy VIP pass. Insert a lanyard hole or slit. This is a great way to display the VIP pass and it decreases the amount of attendees that lose your pass. At Plastic Printers our goal is to create custom VIP passes to provide access and to promote your event, trade show or conference. 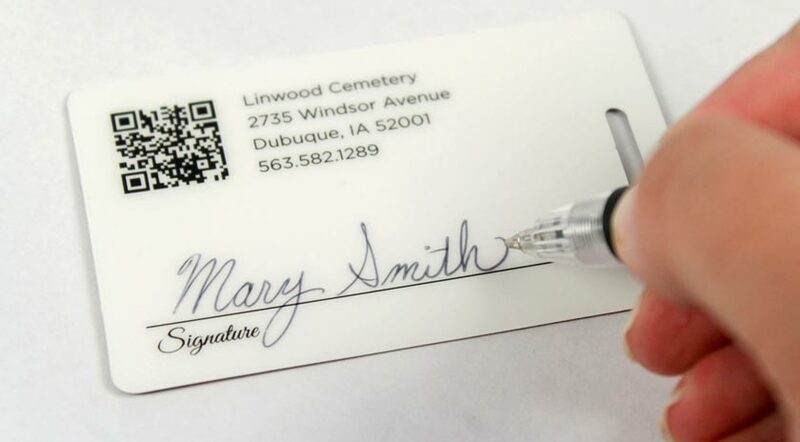 Some of our most popular features include clear cards, variable data printing, die cut and personalization. Monitor the access to your exclusive offer by personalizing your custom VIP passes with the attendee's name, the event date and time, your branding, or the suite number. 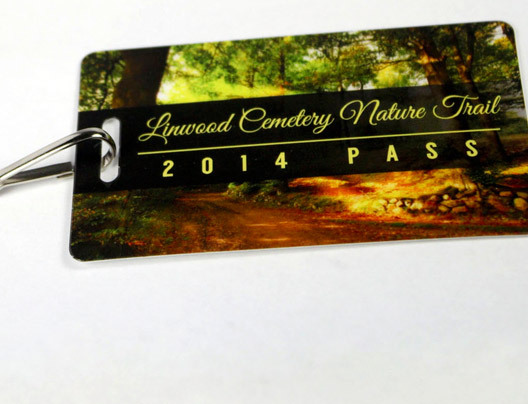 This will prevent recreation of your passes and reinforce your amazing event brand. 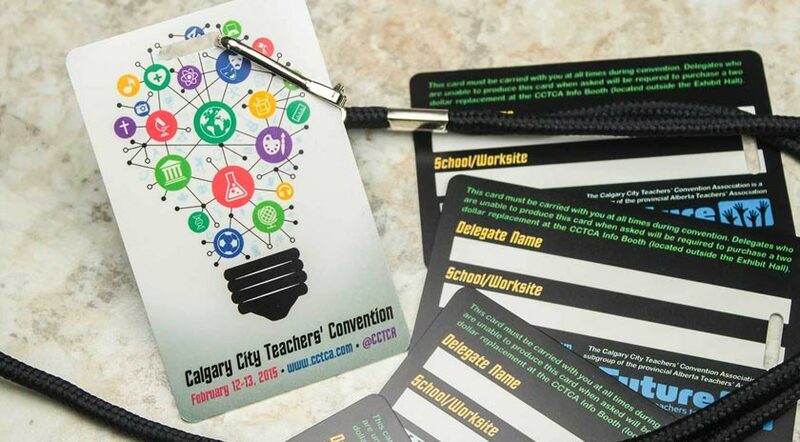 Captivate your attendees with clear VIP passes! 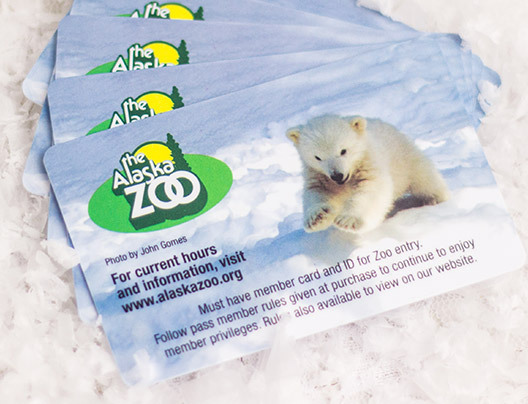 We can create mind-blowing card designs by utilizing a clear or frosted element in your passes. 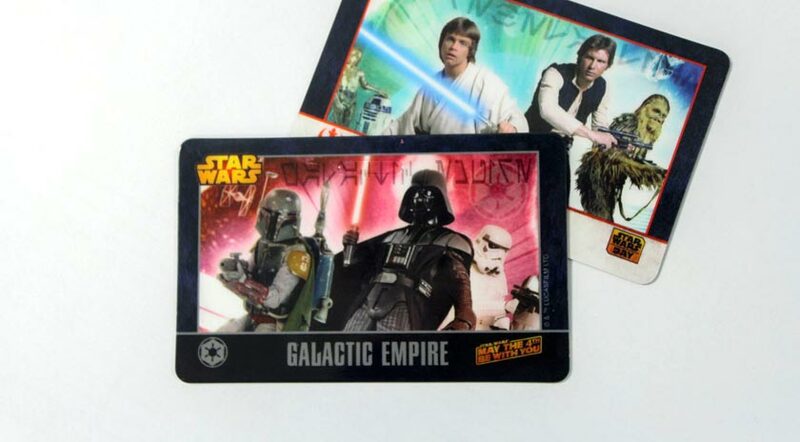 We can even add a color to the transparency to create a translucent card that is uniquely your own. Do you need different VIP passes for the same event? No problem, our team and equipment can tailor to your needs. 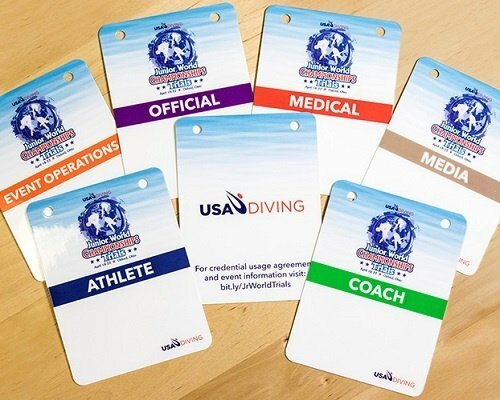 We can create specific VIP passes for press, sponsors, attendees, hosts, athletes, coaches or anyone else you need them for. 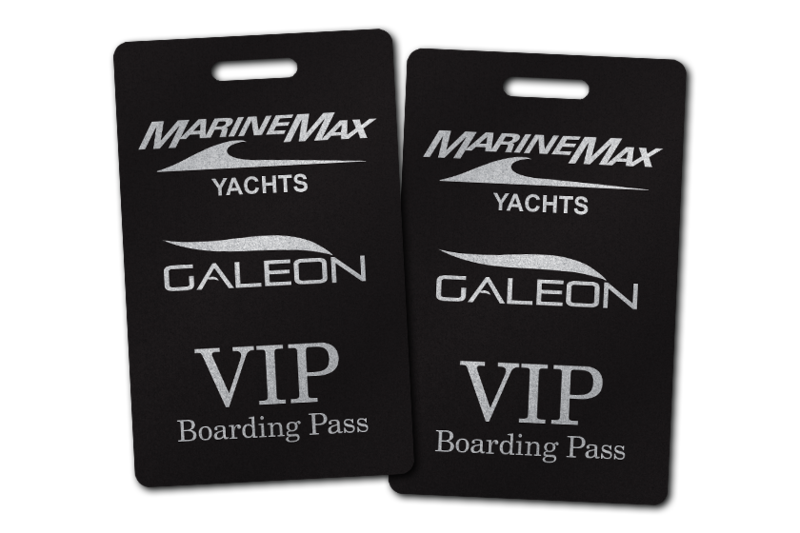 Create highly edgy, chic, and eye-catching VIP passes that will be sure to impress your customers. We have a variety of shapes for you to choose from in our inventory. If you do not see a shape you love, we can make your very own shape for you.